Steel rims with winter tyres can be purchased at a fair price at giga-tyres.co.uk online. Apart from snow chains, you can also find 4x4 and all-season tyres with the matching alloy rims here. 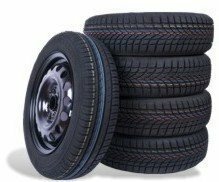 Find truck tyres or steel wheel rims packaged as a set so that you have everything that you need in order to make your car winter-ready. These complete wheel packages most definitely are a safe solution if you are about to face wintery road conditions. In order to stay safe when confronted with snow and ice, you should order the right kinds of wheels today. All of these winter wheels offer superb grip on slippery roads, too. The EU tyre label goes to show just that.